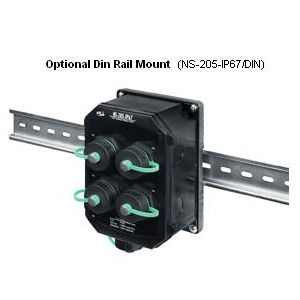 NS-205-IP67 Ethernet Switches are designed for use in industrial waterproof/harsh environments. The rugged packaging and IP67 connectors guarantee total protection that can withstand a variety of extreme conditions such as: high temperatures, extreme shocks & vibrations, dust particles and even liquid immersion. They can be directly mounted to any machine or convenient flat surface. With all its rugged features the switch still provides a high level of functionality, including the ability to support full-duplex communication and 10 Mbps/100 Mbps transmission speeds. With 1.4 Gbps of total bandwidth, the switch can simultaneously handle full wire speed communication on each port. A dedicated uplink port enables a connection to other switches without the use of a crossover cable. No programming is necessary, as the switch auto-learns network addresses. 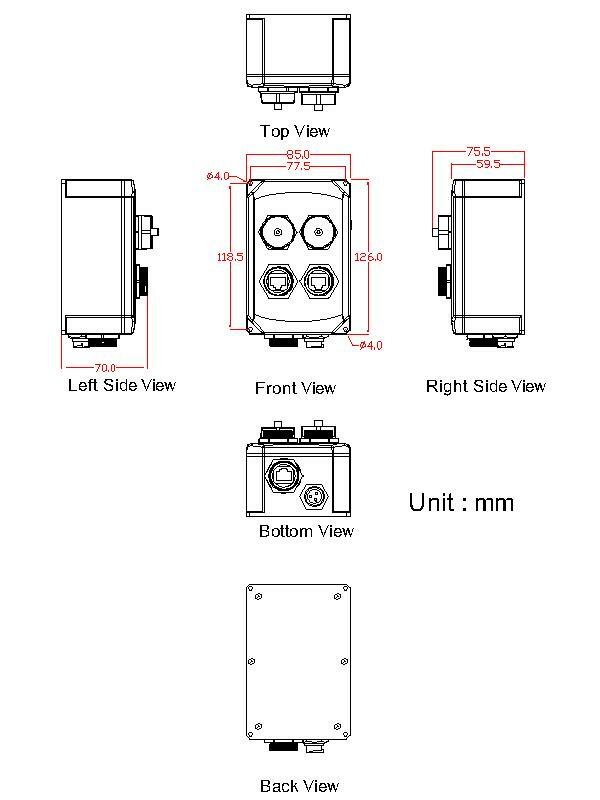 10 to 30VDC isolated power input keeps spikes and surges on the power line from damaging the power supply. They are completely plug and play and ready to go right out of the box. 1.4Gbps high performance memory bandwidth.